Home>New Songs>Soulja Boy Songs> Soulja Boy Enlists Lil 100 & Jump For "Soldiers"
Soulja Boy is back with more heat. Soulja Boy is keeping the momentum going every single day. If he's not causing a commotion on social media, he's delivering a copious amount of music. Earlier this week, he dropped off a three track EP titled, Tell Ya and continued to release several visuals as well as loose singles. Yesterday, he dropped off two new tracks including his collab with Q Money, "Walk In The Drip." Less than 24 hours later, he returns with his new track, "Soldiers." 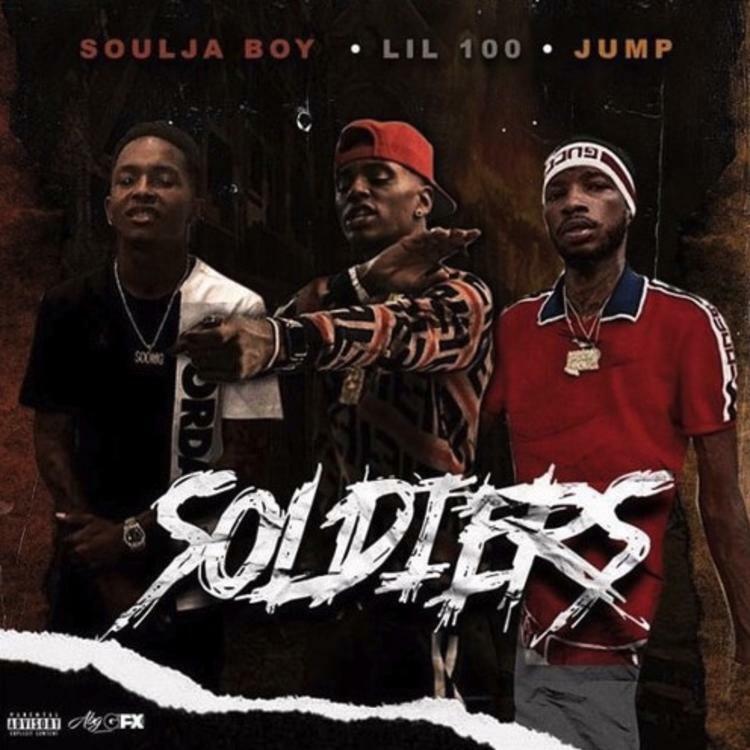 Soulja Boy enlists Lil 100 and Jump for his latest track, "Soldiers" which was produced by Protege Beats. Soulja Boy holds down the first verse, declaring 2019 and 2020 as his years. "Soldiers" is his second collab with Lil 100 this week. He teamed up with Lil 100 on the track, "Hibachi." DUCKWRTH Debuts New Song "UNSTATUS QUO"
SONGS Soulja Boy Enlists Lil 100 & Jump For "Soldiers"